Some people seem confused by the notion of modular homes: are they old fashioned or are they so far ahead of their time that they always look a little bit space age? Regardless of your first thoughts, you can't deny that in a world that is frequently looking for new and inventive ways to utilise precious space, they are a fast and practical solution to the problem of affordable housing, but best of all, they can look absolutely amazing too! 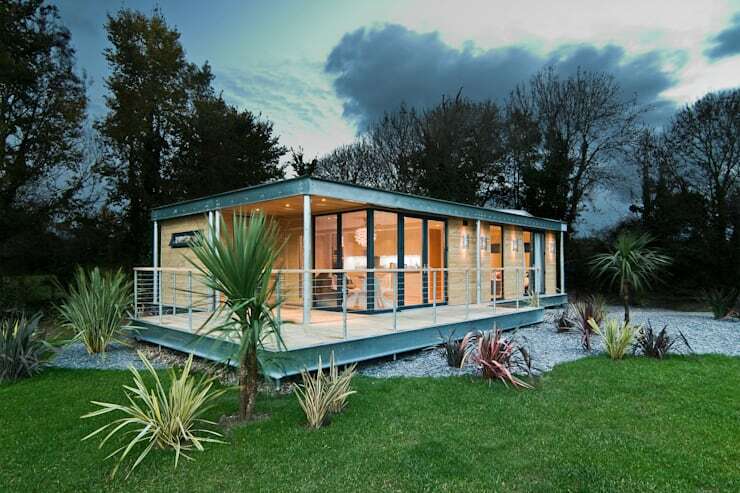 We love modular houses for their funky take on fast-to-build housing and with such a variety of styles out there, we just know there will be something that you love too, from boxy to ultra contemporary. Let's take a look at some of the most design forward examples that we've found! While this might be a very basic shape and design, you can't deny that modular houses deserve a spot in design history when they can look this lovely! In fact, have you ever seen galvanised steel and wood cladding ever look so perfectly at home together as they do here? Boutique Modern have designed and executed what we think is the perfect open plan small home, as it lacks none of the luxuries or conveniences of much bigger properties. With a large decking area, a view to die for and a warm, inviting aura, this is one home we would love to live in. If modular houses appeal to you but you are cautious about building one that looks too much like a mobile home or a Portakabin, we understand your concerns. Don't be put off a modular design, however, as there are so many incarnations! Take a look at this stunning and undeniably sophisticated home that wouldn't look out of place in LA. The white render, aesthetic woodwork and L-shaped design are all working together to push any preconceived notions of modular homes out of your mind. This could be a fabulous postcard from the 50s, couldn't it? The pool, the rounded corners of the building and the vertical wooden cladding are all making this one amazing home that is like nothing else we have seen. 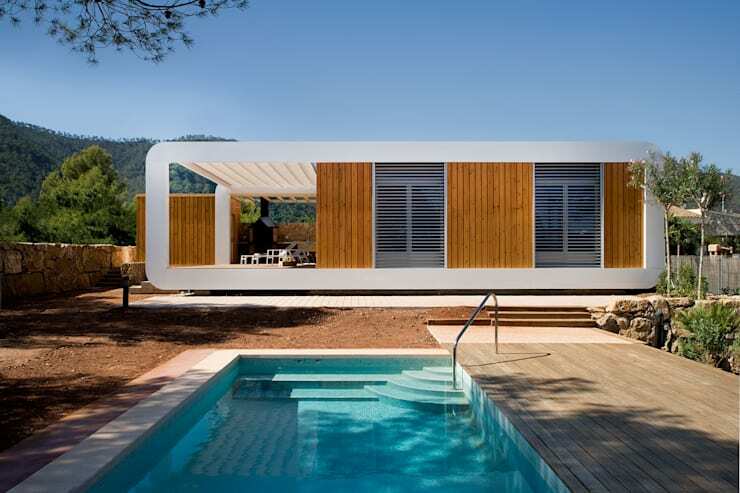 Honestly, this really could be a set for Mad Men and is really setting the bar high for modular houses! When design boundaries are pushed, beautiful things can happen and that's exactly what we are seeing here. With a mandate in place for a one-level home, the rest of the styling has been expertly put together to create something that we just can't stop staring at. It actually looks as though it has been airlifted here straight from the past! If one-storey living isn't for you or you think it is reserved for older people, you can still enjoy fantastic modular design, just with cubed elements stacked on top of each other. In fact, this is a great design idea for any plot of land that is relatively small and not overlooked, as you can seek to build up instead of out. We love this beautiful wood-clad design, complete with a fantastic open plan ground floor that includes a living room, kitchen and dining space. Communal areas downstairs means a private upstairs is easy to maintain and gentle drapes can shut the outside world out. Lovely! For a more rustic and rural feel, modular houses make willing recipients for foundations to roof wooden cladding and we don't think there is a woodsman alive that would turn their nose up at this lovely property! Just look at how rich that colour is! Perfect for idyllic, remote locations, the natural camouflage of the exterior is breathtaking and subtle all at the same time and we just know that the inside has been decorated in a similarly beautiful fashion. We don't know about you, but we are picturing stag busts, plaid and wood burners galore! If you like the simplicity of modular houses and the fast build potential that they offer but you are still wanting to make a splash with your design, you can easily combine the two facets! 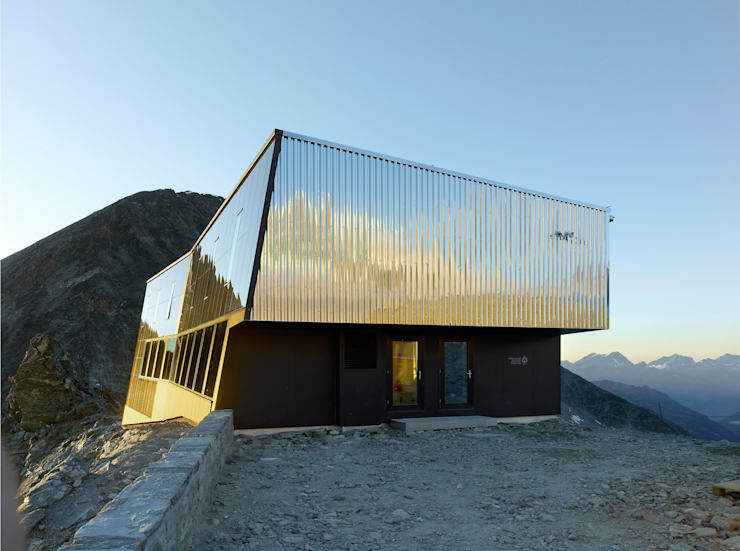 This incredible home is all the inspiration you'll need and we love the mirrored material that is reflecting the landscape and helping the house itself to disappear! Even the shape is unusual in this build. What a stunning piece of architecture and all based around standard modular formation! Wow! For more amazing modular home inspiration, take a look at this Ideabook: An Outstanding House of High Drama. We know you'll love the combination of retro and modern elements. 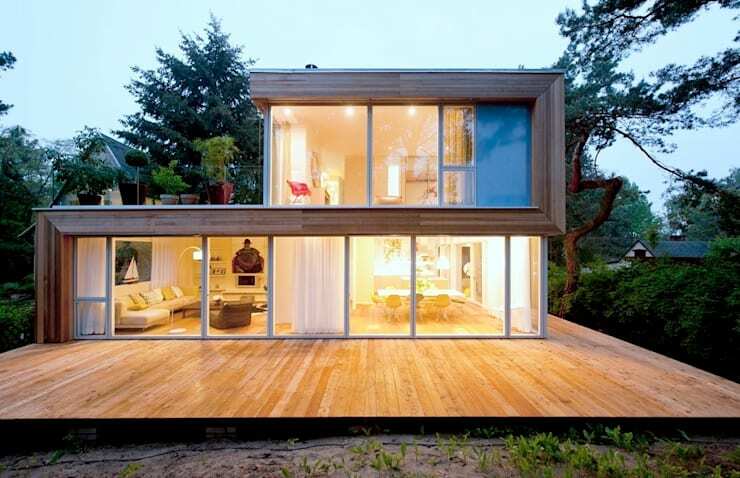 Are you in love with modular houses? Tell us what you like about them!